Free Website For A Local Good Cause | Delwedd Ltd.
Our ‘Free Website for a Local Good Cause’ in 2018 is the Robin Memorial Trust website. Robin Llyr Evans from Llanbedrog was a student at Loughborough University in 2015 when, as part of his course, he went to work in a tennis stadium in China. Sadly he was killed in an accident there, and his family felt that a good way to remember him would be to help other young people to develop their sports careers. 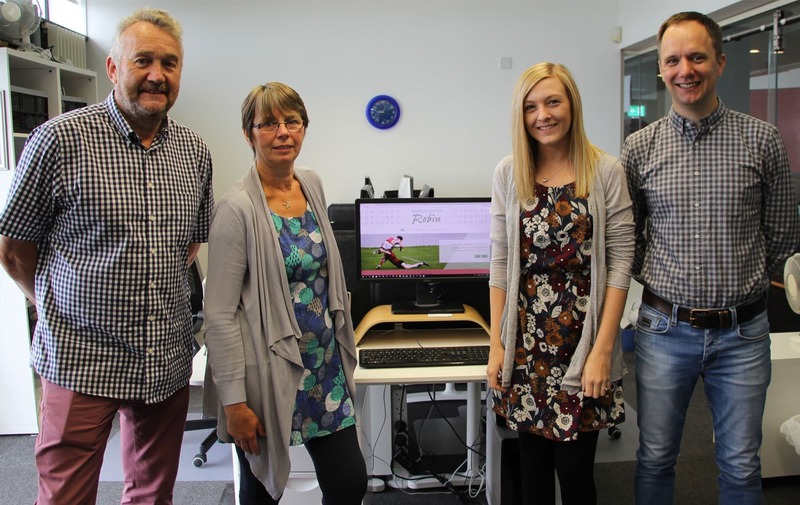 A charity in memory of Robin Llyr Evans was launched on August 31 to help sporting individuals under 25 years old from Gwynedd and Conwy to reach excellence in Sports. The first recipient of a grant was Teleri Davies, aged 21, from Bala. Aled Roberts and Jemma Evans from the company attended the launch at Glaslyn Leisure Centre in Porthmadog. As with every free website for a local good cause, Delwedd will keep their website free, forever. We wish all future recipients of the grants all the best, and of course to Robin’s family as well. Click here to return to our main news page.